Summer camp should be filled with a host of fun themed projects, crafts and activities that will not only entertain the children but also stimulate learning. These craft project ideas provide kids with mementos of the experiences they've shared with friends at camp. Many camps are centered around common interests, such as Bible camp or horse camp. These groups can plan crafts around the focus of the camp, as well as incorporating additional themes. 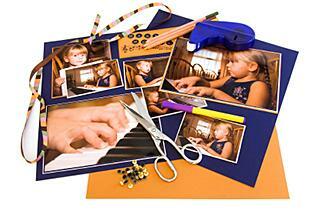 Teach children about friendship and preserving memories with some friendship building crafts and activities. Help camp kids create an autograph book worthy of the red carpet to help keep their summer camp memories alive after they get home. Have the kids mingle and sign the autograph books. Encourage them to write positive statements about each other when they sign. Making a memory box is a creative way to preserve camp souvenirs. 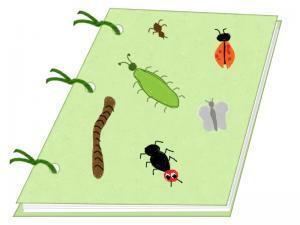 Use this craft to store items collected on a nature walk, or other small crafts. Creating a scrapbook will help keep memories alive for the campers, and will also give them a creative outlet to express themselves. If any theme weeks incorporate photography or other paper-based, flat artwork, this is a great way to present them. Campers can trade photos or art so the scrapbooks contain not only their own camp memories, but those of their friends as well. These crafts make useful items that campers can take home and continue to use long after summer camp is over. 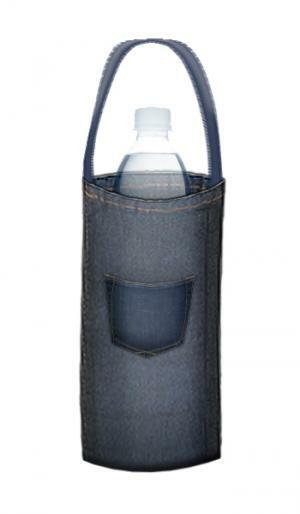 Create a functional and fashionable holder for a water bottle out of some old jeans. After camp, use the holder to carry a water bottle to school. The ribbon can be long enough to carry over the shoulder or across the body, or leave it short to carry in your hand. You can also sew a pocket, taken from the same pair of jeans, on the outside of the bag to store a map or small snack. 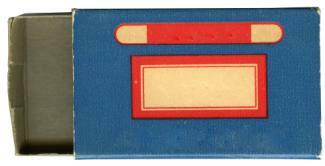 A popsicle stick bookmark is a simple project to make that can be given as a gift to parents when the campers return home. Most campers bring a bag of personal belongings with them. 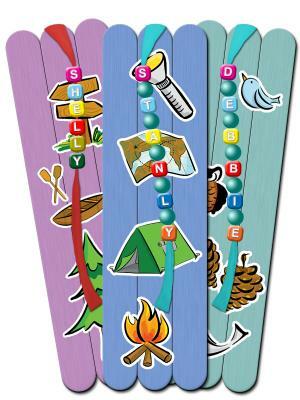 Help campers create tags to help them quickly and easily identify their personal belongings. A similar project is to have campers create original jewelry pieces out of beads, yarn and other simple material. Ask campers to collect natural objects such as pine cones, rocks and twigs to create nature-inspired crafts, perfect for any nature theme. There are a variety of projects and activities that can be enjoyed outdoors. Many younger kids feel sad about leaving their family pet while they are at camp, while others simply desire a pet of their own. 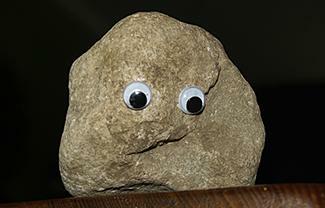 Help them create a pet rock to keep them company. This project works with any theme, but especially supports a bug, animal or nature theme. Enjoying the great outdoors is one of the best parts of camp, and creating a collage inspires kids to see the beauty in their surroundings. This activity can be undertaken in groups or individually. 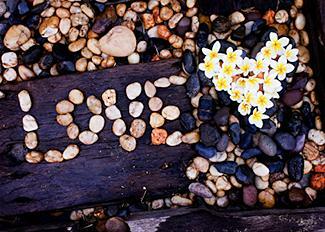 Arrange leaves, rocks, flowers and other items into a pattern, symbol, or word. This can reflect a specific theme, or fit into a general nature theme. If the children are very young, have camp counselors take and print the photos. 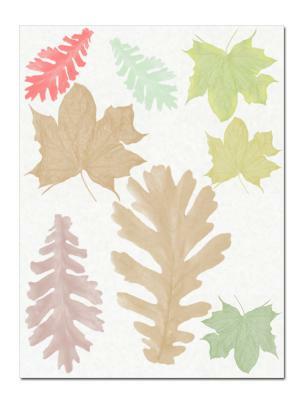 Preserve and study the beauty of nature by making prints from items found outdoors..
You can also use this technique to create note cards from card stock for writing home or keeping in-touch with camp friends, or use fabric paint and plain t-shirts to make keepsake crafts. 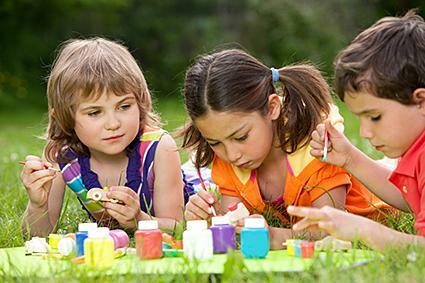 Summer camp crafts should be fun and easy to make, and should capture the essence of the camp experience. Incorporate themes into crafts and activities whenever possible to keep kids immersed in the ideas and skills they are learning. Vary the type and difficulty level of craft projects so that all campers will discover something they really enjoy.